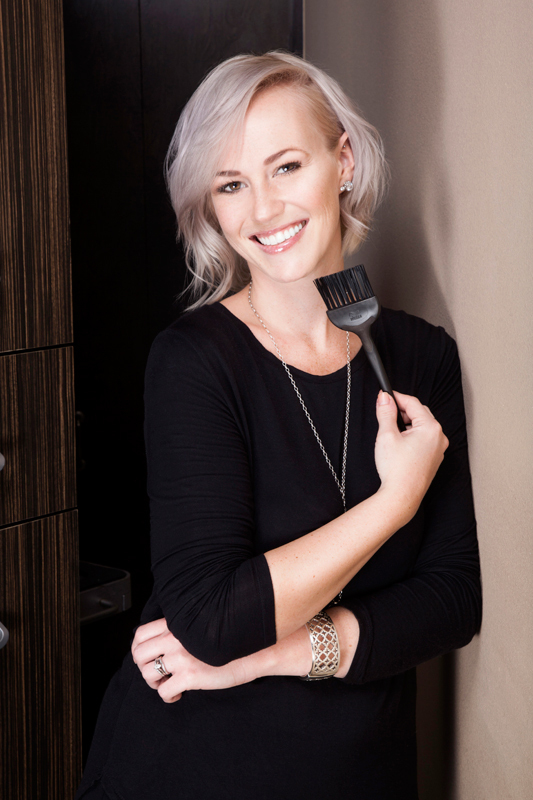 Talia can be described as the outgoing personality at the Mitchell Wade Salon. She enjoys comforting those she serves and interacts with, and she believes “laughter is the best medicine!” She is rewarded every day by making people feel good about their look. She does this by listening to the client, specifically to what they say about their hair. She uses her skills of listening and communication to achieve the desired look, and often attempts to go above and beyond her clients’ expectations. Let Talia know what your favorite thing is when you are in her chair; she is great at remembering the little things that add that something extra to your experience. Talia began her career as a stylist at the Mitchell Wade Salon in 2005. While at the Institute of Creative Enhancement, she participated in the assistant training program with salon owner, Mitch Eubanks. After graduating from both the Institute and the training program, Talia continued to take classes on new hair color and cutting techniques through Wella and Sebastian. She would like to do runway hair, because she likes “funky” haircuts and styles and thrives under high-pressure situations. Tabatha Coffey, Australian/American stylist who can be seen on Shear Genius or her own personal show Tabatha’s Salon Takeover. Talia worked on stage for Moroccan Oil during the 2013 Premier Hair Show in Orlando. Blondes! Being a blonde herself, Talia loves that there are so many different shades of blonde that she can customize for anyone's skin tone. Keratin Smoothing Complex by Peter Coppola.